This is a 50 minute session, booked over the course of 5 weeks DEDICATED to introducing you to Pilates. It is for complete beginners or the person who wishes to go right back to basics. To RECONNECT with their body. 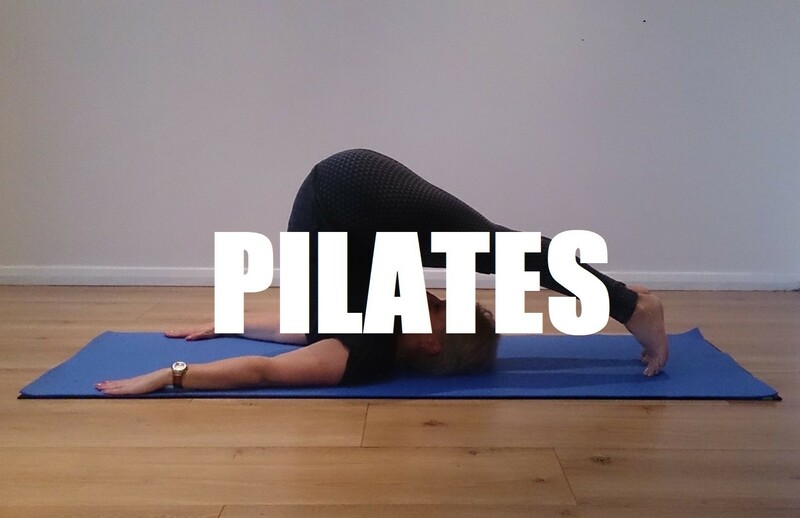 Over the 5 weeks, each week we will concentrate on one of the 6 principles of Pilates, which will give YOU the foundation of ALL Pilates classes. Using these principles in exercise and movement makes Pilates unique to all other exercises. BREATH - I have placed this first as I feel this is Fundamentally the most important. The Pilates Breath is wide and full and helps activate muscles and helps concentration. CENTRING - Paying attention to the powerhouse (core) will enhance the flow of the moves. Learning how to not over-activate but control your movement. CONTROL - There should be no forced movement. Slow and Steady in the Pilates world to gain maximum benefits. PRECISION - Proper form is ESSENTIAL for you to gain the maximum benefits. FLOW - All the Pilates moves should flow. They should be slow and graceful. 6 of the Pilates exercises. The cost of the 5 week course will be £45 payable before the course starts. (sorry, non refundable and non transferable). Due to the progressive nature of the course, I ask that you commit to all 5 weeks to get to MOST out of the course. Please wear loose workout clothing that is comfortable to move in but not restrictive or revealing. Pilates is performed in bare feet. If we experience any cold weather, then specific Pilates socks can be worn,but not recommended. Mats will be provided but it is always recommended to bring your own for comfort and hygiene purposes. Join a waiting list for the next workshop or course.